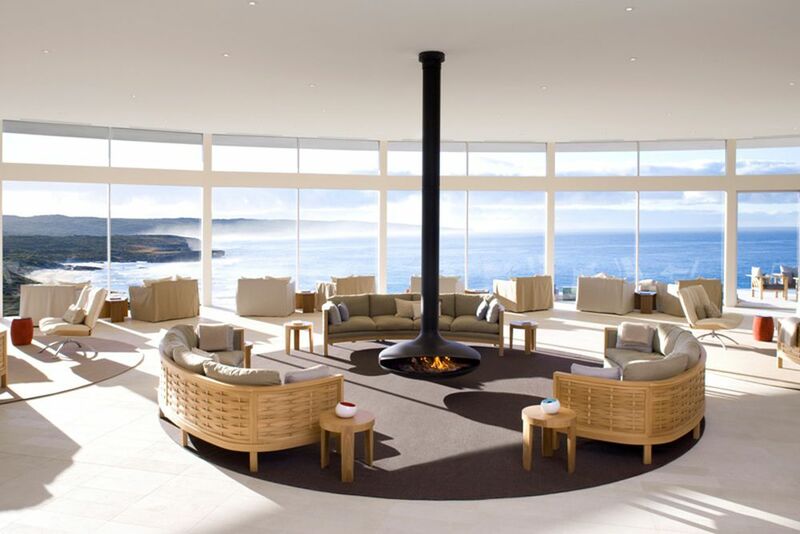 The Southern Ocean Lodge is one of the most spectacular luxury lodges on the 5th continent. 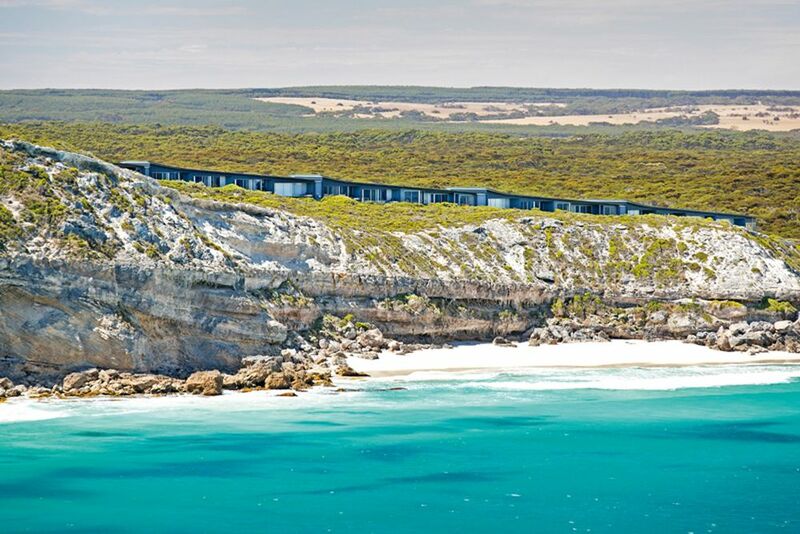 The Southern Ocean Lodge majestically sits on a cliff in Hanson Bay. Film-ready views are guaranteed by the Kangaroo Lodge. Lounge next to a cozy fireplace. Flinders Lodge offers everything you need for a stylish stay. The lowered lounge (Osprey Pavillion) creates a special atmosphere with fantastic views. The bathroom of the Osprey Pavillion stands for luxury and design. The outdoor terrace of the Osprey Pavillion is equipped with sunbeds and a whirlpool. The Ocean Retreat Suite offers the ultimate in rest and relaxation. The unique location of the lodge makes the stay a unique experience. 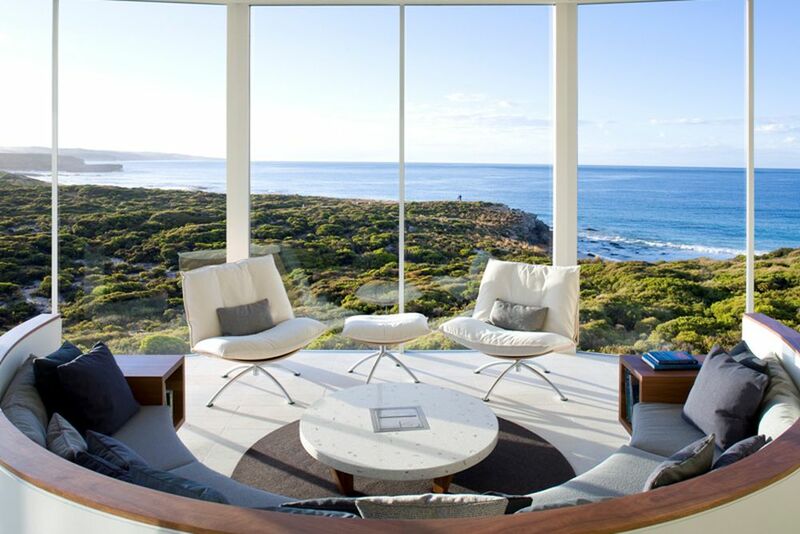 Unwind on Kangaroo Island and relax from the stress of everyday life. The natural environment of the surroundings was affected as little as possible. Sustainability is of the utmost importance for owners James and Hayley Baillie. The design of the lodge inspires its guests. Perfectly organized excursions are also offered by the lodge. Foodies are guaranteed to get their money's worth in the restaurant. 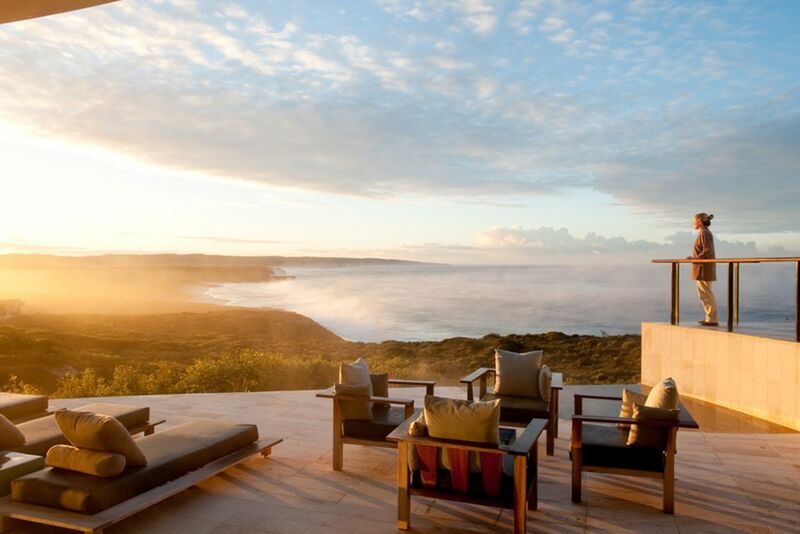 Discover Southern Ocean Lodge on the Galapagos of Australia, Kangaroo Island. 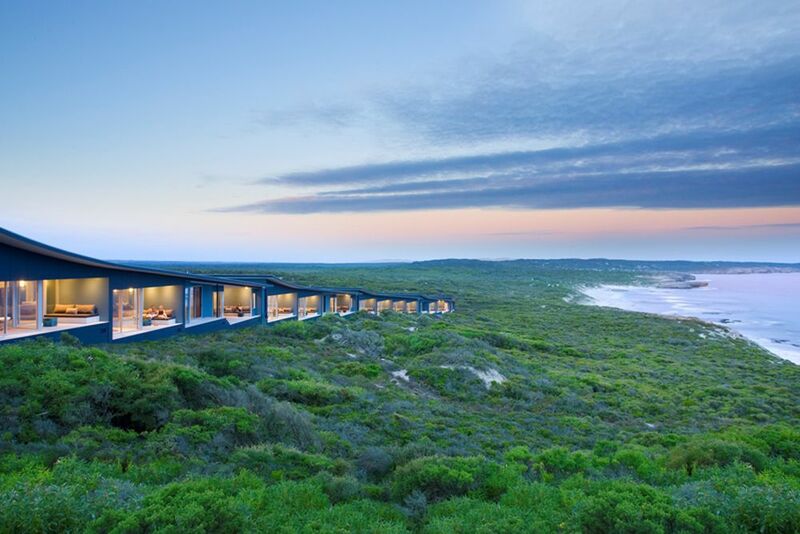 Your out-of-this world experience will include sites of rare plants and animals, and a luxury stay at one of the most elegant lodges in Australia! 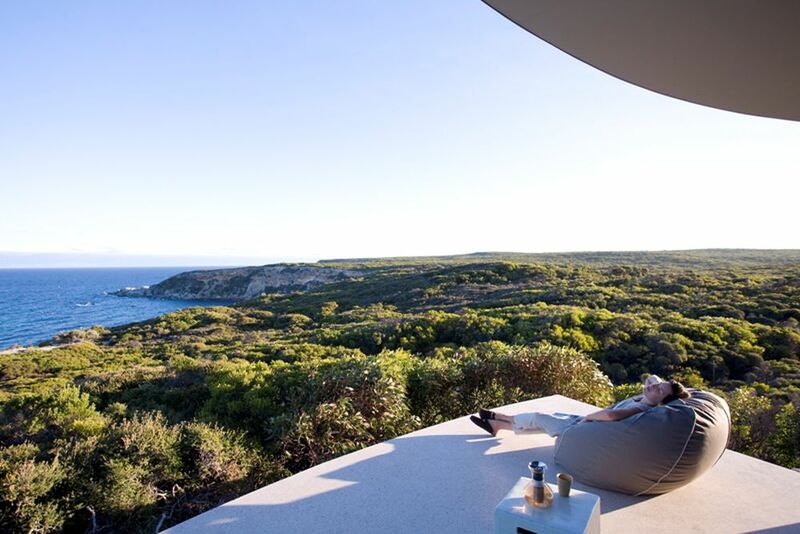 Come stay in the well-designed, EcoSmart rooms with panoramic views of the untouched Hanson Bay. 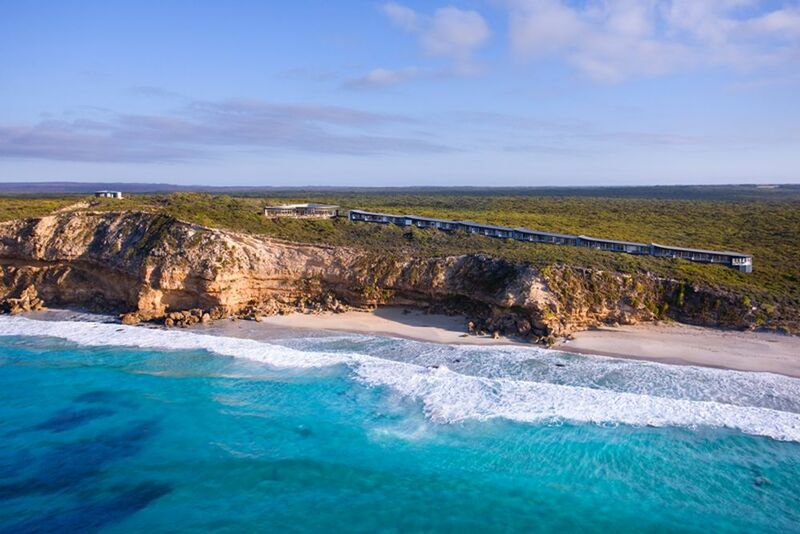 Floating atop a secluded cliff on a rugged stretch of untouched coast sits Southern Ocean Lodge, Australia’s first true luxury lodge. 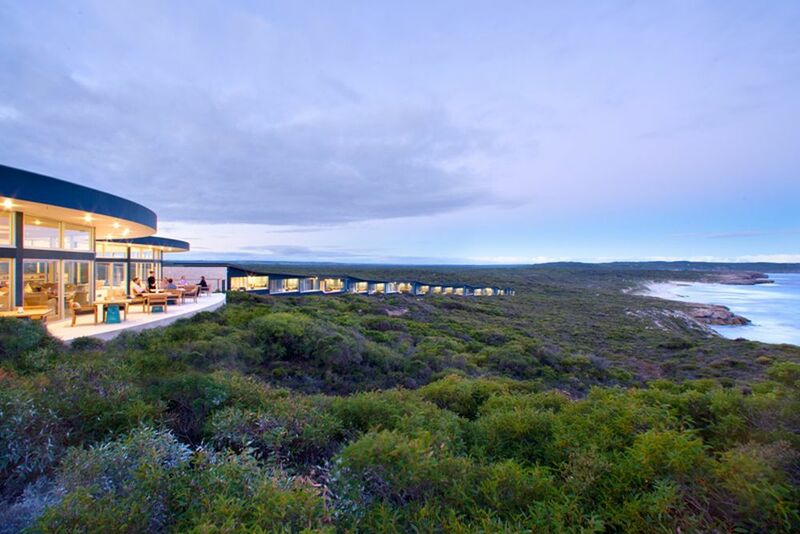 The lodge boasts dreamlike views of the wild Southern Ocean and pristine Kangaroo Island wilderness. 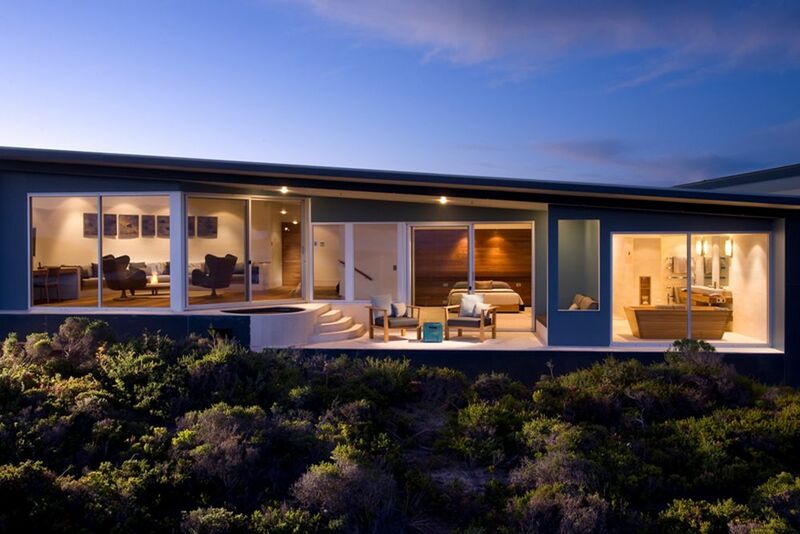 The eco-friendly design of the lodge is in perfect harmony with nature and luxury, providing guests with a unique experience amongst the abundant wildlife and spectacular natural attractions. One-third of the island is declared as Conservation or National Park, so visitors come face-to-face with prolific birds and animal species such as New Zealand fur seals, koalas, kangaroos, Australian sea lions, ospreys, echidnas and many more! Hike around the island and discover dramatic coastal vistas and unspoiled sculptured landscapes with sheer limestone cliffs, sheltered coves, rocky headlands, and deserted stretches of sugar-white sand. 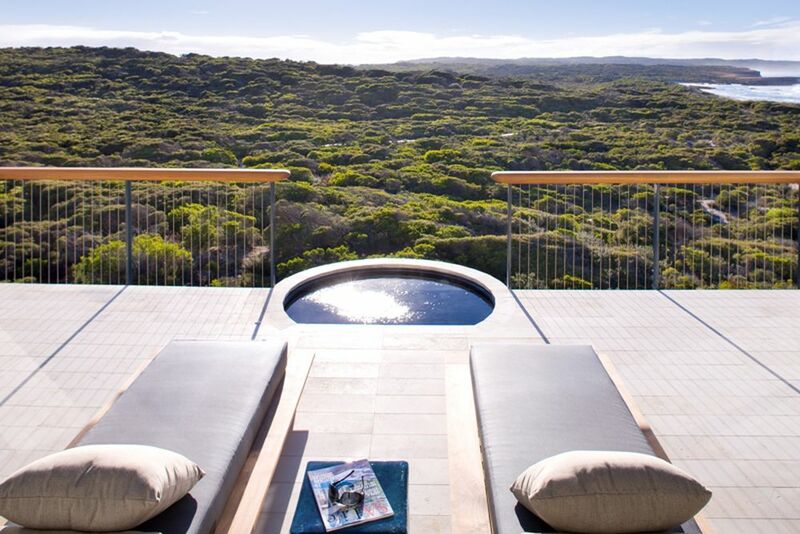 Sensitive, intimate and sophisticated, Southern Ocean Lodge is a sanctuary of refined comfort and luxurious Kangaroo Island style. 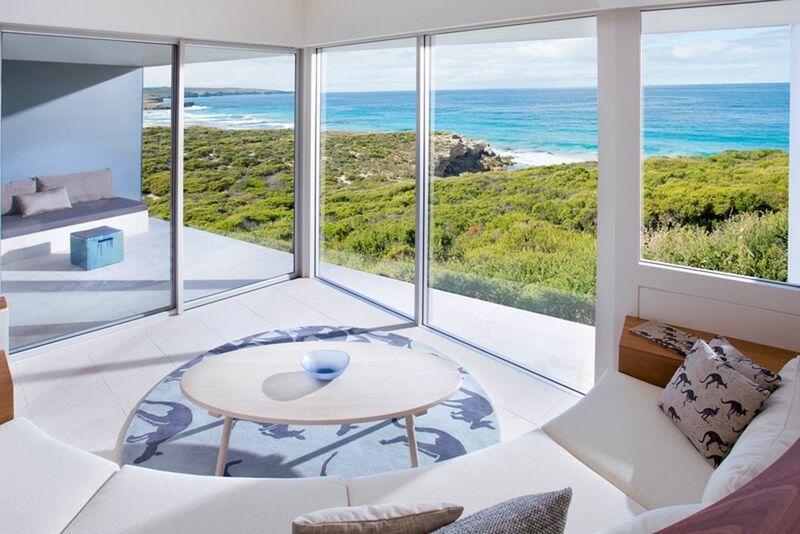 Located at Hanson Bay on the island’s southwest coast set back from a cliff above the pounding surf, the sensitive design showcases a full-frontal panorama with its close location to all the major attractions. 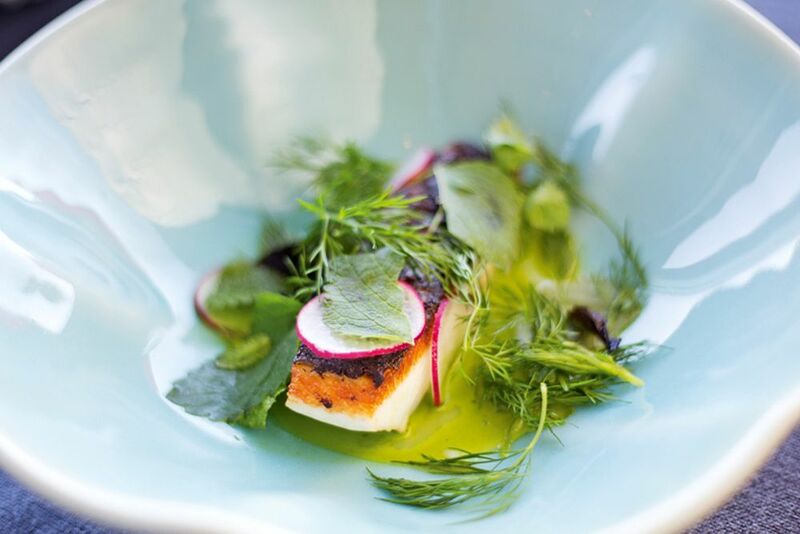 Take a journey through the dynamic delights for the senses of Kangaroo Island’s beautiful dishes. They follow their motto of “produce to plate” with all their meals. The pure rains of South Australia inspire artisan growers to produce a bounty of premium and organic food and wines. The menu changes daily honoring the local ingredients provided. The stylistic cuisine is sophisticated and simple, creating intense flavors and a special dining experience. The excellent range of wines and beers are chosen throughout Kangaroo Island and South Australia, chosen by hand to compose a diverse beverage menu. Decorated in bright and natural colors, the 21 beautiful suites inspire simple elegance for all guests to enjoy. Each suite has a breathtaking view of the coast, a bathroom with shower and bath, internet, TV, air conditioning, safe, underfloor heating, and a walk-in closet. Paying close attention to detail, each room is decorated with contemporary furniture to accent the elegant design. Flinders Suite (65 sqm, max. 2 adults)—The suite has a stylish living area, a separate bedroom, and a bathroom with a shower and bathtub. Amenities also include internet access, a minibar, and a terrace with sun loungers to enjoy the spectacular views and glistening sun. A king-size bed or two single beds with a curved sunken lounge with bespoke soft furnishing also spoils these guests in these suites. Ocean Retreat (75 sqm, max. 3 adults with extra bed)—This suite contains the same features as the Flinders Suite. Amenities also include a freestanding bathtub and a warm fireplace to relax by after a long day of adventure. Ocean Family Suite (120 sqm, 4 adults or 2 adults + 2 children, max. 5 people with extra bed, min. 3 people including 2 adults + 1 child)—These suites feature the same amenities as the Ocean Retreat suite, but also have a separate bedroom and bathroom. 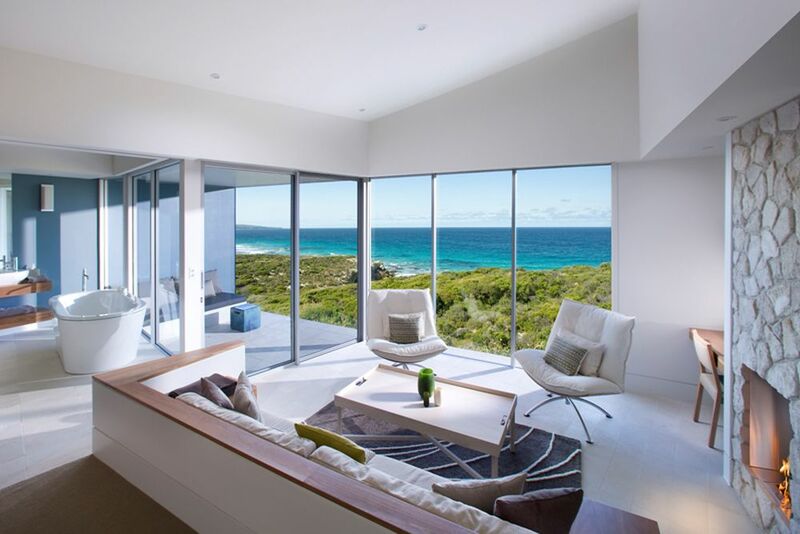 Enjoy a separate living area and a terrace with a seating area with remarkable views underneath the warm Australian sun. Remarkable Suite (120 sqm, 2 adults, max. 3 people with extra bed)—This suite has a comfortable king-size bed, a lounge area, fireplace, LCD TV, and a DVD player. There is also a spacious in suite bathroom with a handmade bath and an outdoor terrace with a Jacuzzi overlooking the breathtaking coastline. Osprey Pavilion (120 sqm, 2 adults, max. 3 people with extra bed)—The noble suite offers panoramic views of the rough ocean and the beautiful coast. A unique curved floor plan includes a separate sunken lounge with lavish custom furnishing, EcoSmart fireplace, and a state-of-the-art audio visual system. 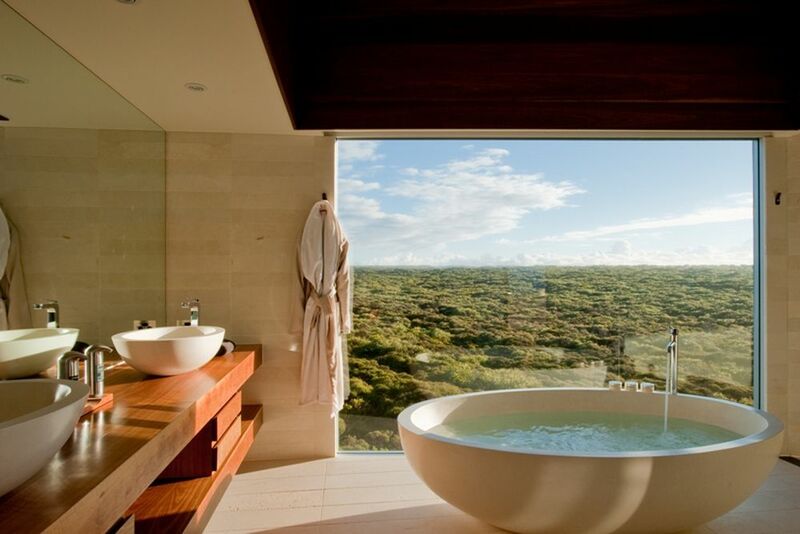 The open bathroom commands views to the endless horizon with a deluxe rain shower. An outdoor terrace with sun lounges and private plunge spa extends into the coast for a personal nature meets luxury experience. At the Southern Spa, indulge yourself with rejuvenation and relaxation treatments with the native plant extracts to choose from. In addition, the spa offers a steam bath, massage treatments and the relaxation lounge for the ultimate pampering experience. 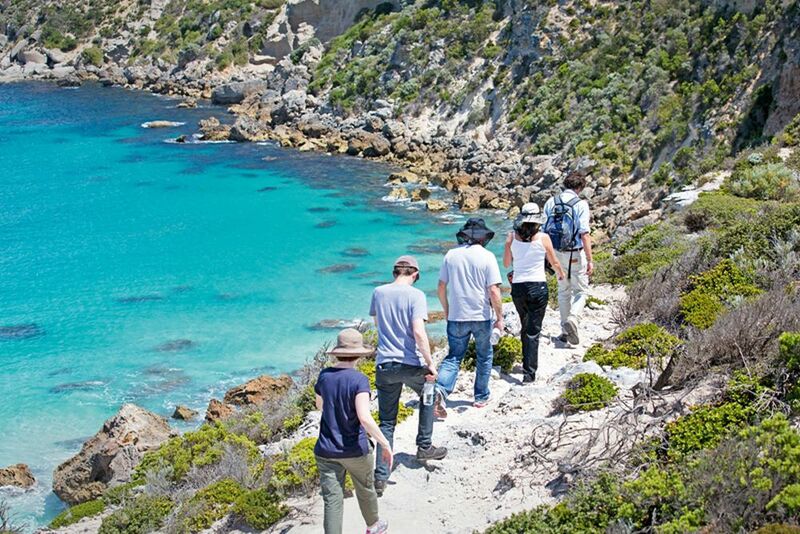 During guided adventures, such as hiking, you can explore the wild nature of the surrounding area. A complete payment of the services is required 2 months before arrival! For bookings over Christmas and New Year (17.12.2018 - 12.01.2019), a non-refundable 1 night deposit is required within 14 days.